Jelly is a weird thing! Like what is it? (It’s collagen) It’s just……..if I had to analyse this; it’s weird because it’s a really basic dish. It’s so basic that it has been made in different forms since ancient times and in many cultures. But it’s also so basic that it seems like….elemental. It’s a basic property of food that can be coloured, flavoured in any way to create a dish that is futuristic, because it is almost entirely man-made. So anyway….let’s look at some jelly. 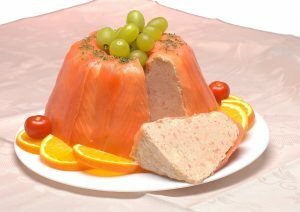 Aspic salad used to be a quintessential American salad. What happened? Why do we no longer eat all savoury and sweet foods in jelly form? Well for one, it’s disgusting, and two, dieting fads started to incorporate eliminating sugar rather than just fat. Therefore, the jelly, which was really just an excuse for sugar, fell by the wayside. This looks so beautiful and it’s not hard to make, it just takes a long time to wait for each layer of jelly to set. Kids would lose their minds over this stuff for sure. This person has invented a way to improve a watermelon! Previously this was not thought possible. This is not a drink, this is a jacuzzi. This thing has got so many gummy bears and so much vodka in it it’s unbelievable. Man, if I go to a party where they have this one day, I will feel like my life has been worth something.